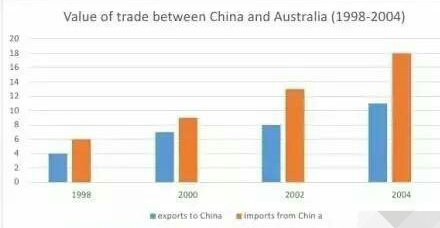 题目 The first chart shows the value of goods that Australia imported from China and those exported to China from Australia. 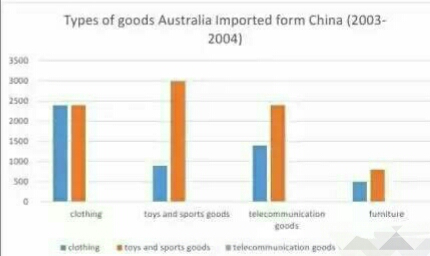 The second chart shows the type of goods imported from China. 重点表达式 …, (closely) followed by …. What came next was …. 题目 Some people believe that children can learn effectively by watching TV and they should be encouraged to watch TV both at home and school. Some people think it is good for children to spend time on TV, video, and computer games. Others believe that TV, video and computer games have negative effects on children’s development.